Helena Mazzariello trained at the Berkeley Psychic Institute including the two year intensive Clairvoyant Training Program, Graduate Program and Ministers Program. 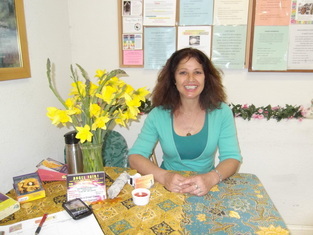 She has done thousands of readings and teaches classes on psychic healing and psychic protection. Helena offers Psychic Readings and Healings from real estate to relationship, career, house clearing and healings, past lives, spirit guides, Akashic Records, pet readings and healings, female tune ups and healing with Ascended Masters and Archangels.